With more firemaking using bowdrills and flint strikers, the Level 2 all-day session is a chance for your teen to learn firemaking, or for your child to build upon the skills learned in Firemaking Level 1. (Please note, if you child did not attend the Level 1 sessions, they can still participate, but we encourage children to learn the basics in Level 1). 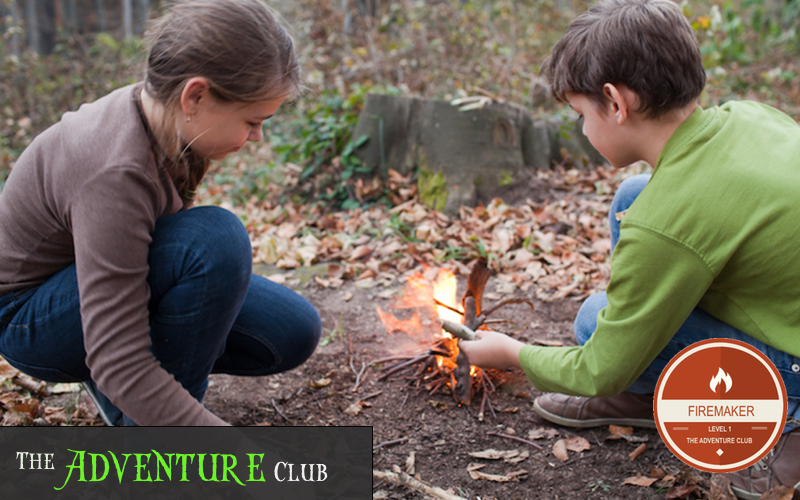 Earn your Adventure Club Level 2 Firemaking badge upon completing this session!